Spring is in full bloom, and with it, garden-fresh ingredients like basil, fennel and avocado play alongside icy buttered Tiki drinks or turmeric coconut milk in cocktails from coast to coast. These 11 national bars and restaurants are serving unique cocktails worth drinking this month. The cocktail name is full-on “Game of Thrones,” but the elegant, vegetal sipper, the Garden of Qarth, is pure Botanist, Vancouver’s ambitious 2017 newcomer at the Fairmont Pacific Rim hotel complete with molecular cocktail lab, restaurant and garden room. Beverage director Grant Sceney showcases earth, land, sea, fire and water alongside ingredients of the Pacific Northwest in his drinks. 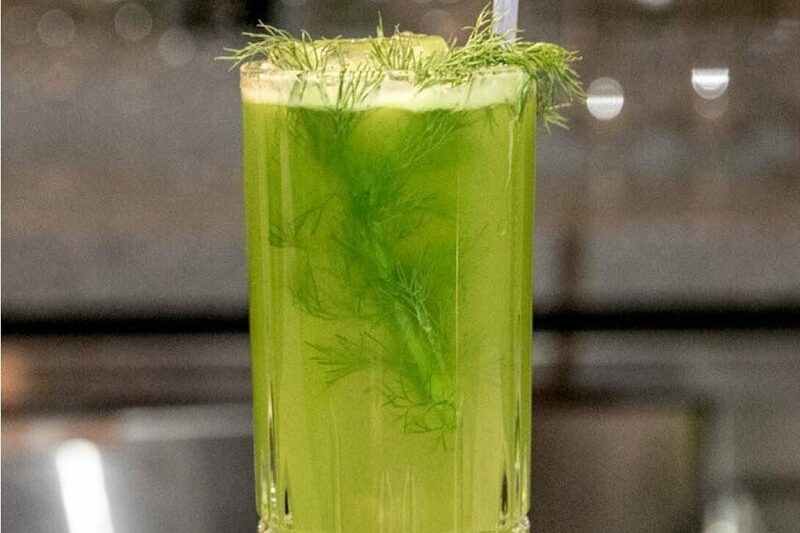 The Garden of Qarth is served long and tall with a smoky whisper of mezcal and the vibrant, vegetal green of a verde cordial, lime, fennel and Pernod absinthe, topped with sparkling water.